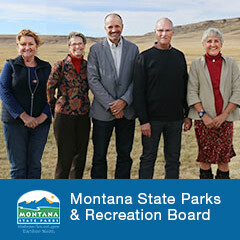 The Montana State Parks & Recreation Board was established by the Montana Legislature in 2013 to provide guidance and direction for the park system and programs. Throughout this process, the Board will be leading discussions to ensure we have an open and transparent dialogue that includes all our partners, friends, and the general public. For specific times and agendas, please visit stateparks.mt.gov. Agendas will be posted online one week prior to the meeting.